Our product range includes a wide range of zinc phosphate. With rich industry experience and knowledge in this domain, we are offering Zinc Phosphate. 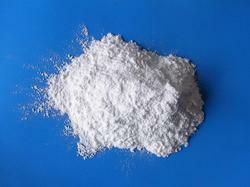 The offered zinc phosphate is use as raw materials for fabricating corrosion resistant coatings. This zinc phosphate is formulated with finest grade chemical compounds in compliance with the set industry standards. Honored customers can take this zinc phosphate from us at market rates.